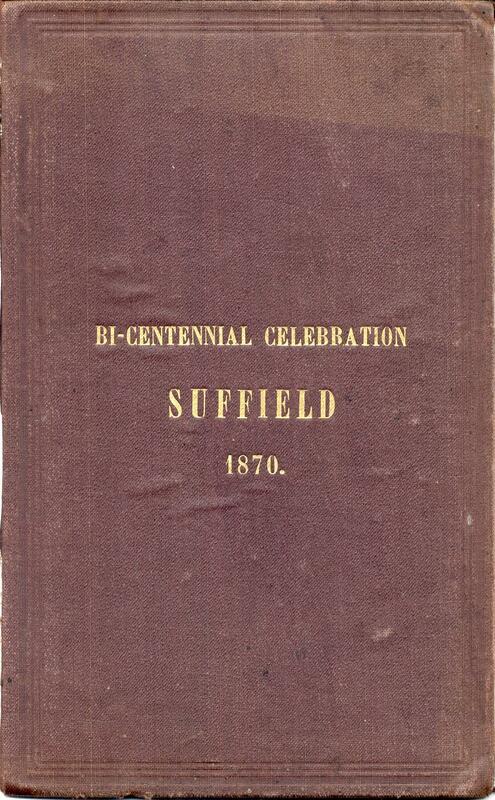 The book, "Celebration of the Bi-Centennial Anniversary of the Town of Suffield, Connecticut, Wednesday, Oct. 12, 1870," by the Bi-Centennial Committee, Hartford, Connecticut, 1871. 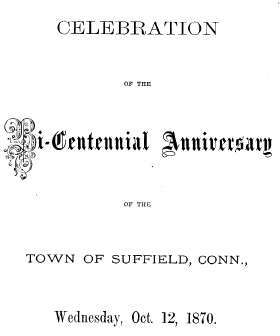 This is a book commemorating the 200th anniversary of the founding and settlement of the town of Suffield, Connecticut. 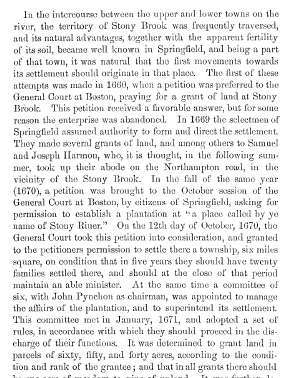 It is of great historical and genealogical interest. 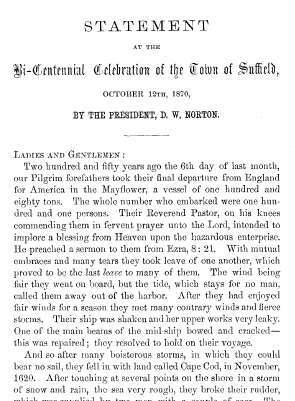 The book has approximately 115 pages, and is not linked, but is fully searchable using the Adobe Reader 'search' function. Please note: This is not a paper book, it is a scan of the original paper book into the digital Adobe PDF format, written on a CD-ROM. You read this book on your computer using the free Adobe Reader software. It is a digital version of a hard to find book. 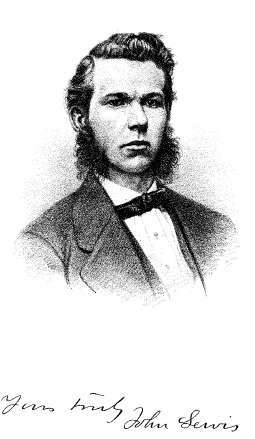 If you could find a copy of the 1870 printed book, it would be very expensive.